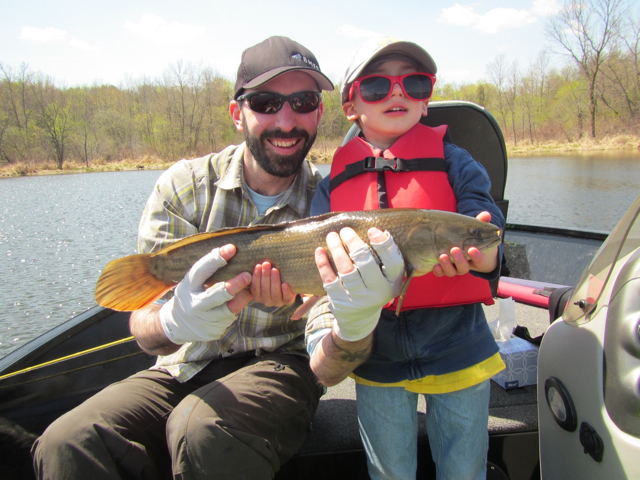 Fishing with the boy – he fought this bowfin like a champ. Well amigos, it’s been hard to put time towards the ol’ art, fishing and brewing lately. Tons of work travel, more work, house stuff, family stuff and a general tripping & fumbling into Spring. Has it always been this way? Probably. A treasured gift from Simpsons Malt. From a recent work trip to Scotland. Yeah, I love my job. Spring has become my favorite time of the year (minus the garage and basement occasionally taking on water). Forever it was Fall – the time when the temps cooled, decoys were placed pre-dawn, and the Summer’s practice at the archery range was put to test. Once I hung up the guns, arrows, 1300000000 decoys, and started focusing on fly fishing, the Fall slowly become #2. Don’t get me wrong, I love the colors, the smells, and still scan the skies for migrating canvasbacks during Autumn. You may also catch me on the Bois Brule submitting myself to a steelhead beatdown. But, as someone once said, “there is a season…etc etc, blah blah blah”. Out of the Winter funk and into the Spring activity; art benefits from cold and miserable outdoor conditions, but the underlying inspirations, motivations and mojo are scant to come by. Spring is when new stories are created, new inspirations is found, and renewal of the mojo is manifested. I hope ya’ll are fishing more than you should….brewing your lawnmower beers…and finding some inspiration with the rain, blooming, and rising temps. Keep it movin’. Tight lines, horns high, and enjoy that beer.